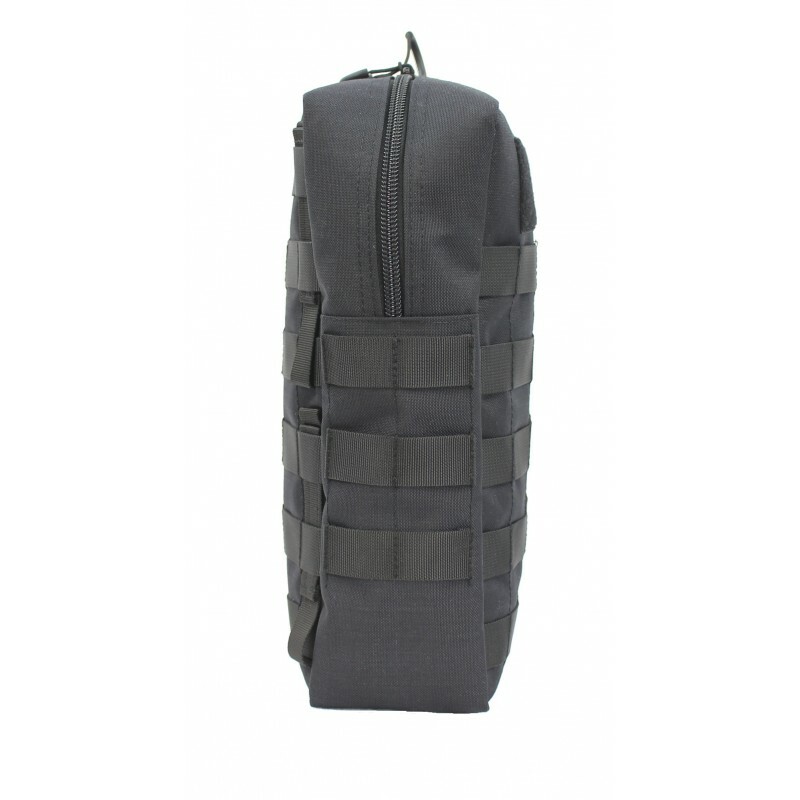 Large additional pocket for backpacks. 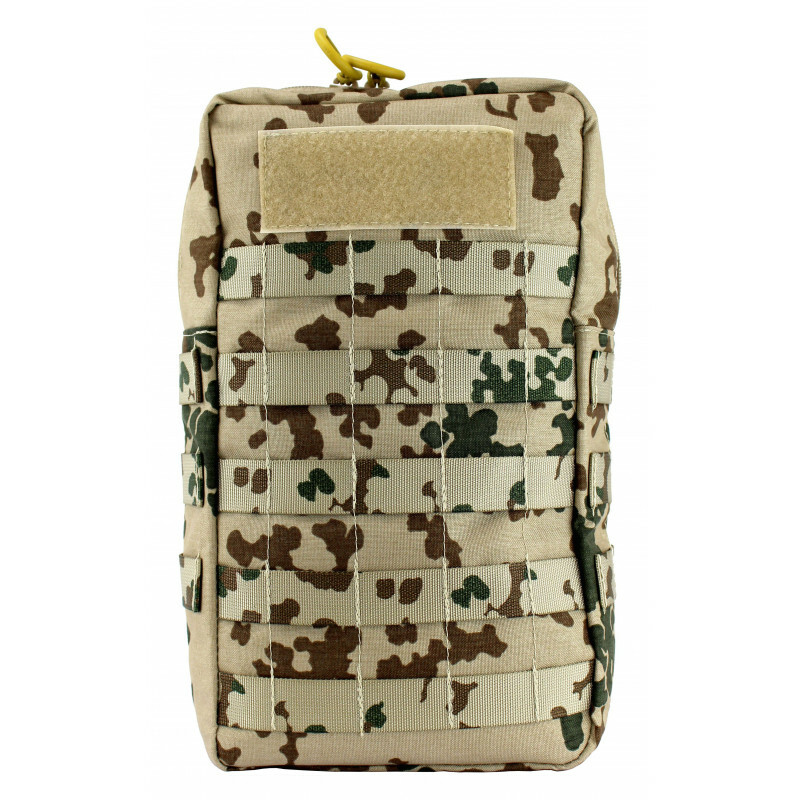 Patch area on the front side. 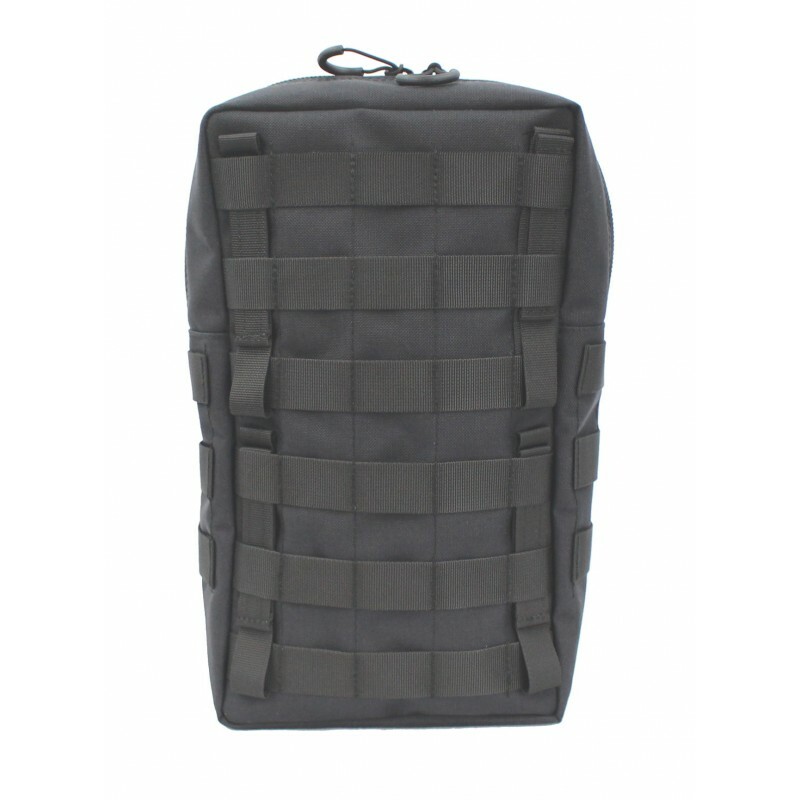 There are two compartments inside the bag. 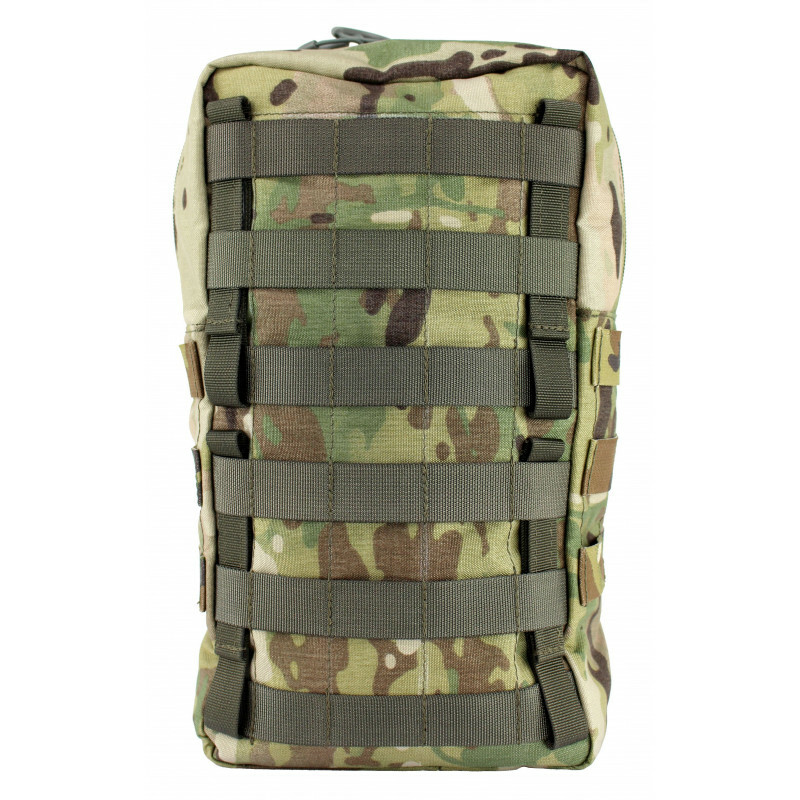 Can also be attached to plate carriers, protective vests. 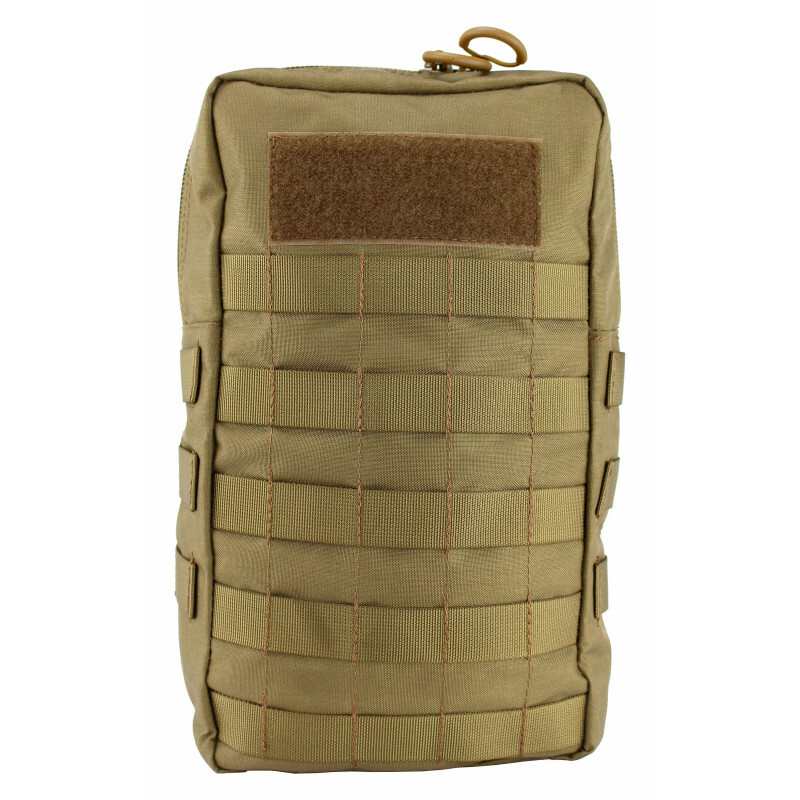 A water drain is located at the bottom of the combat bag. 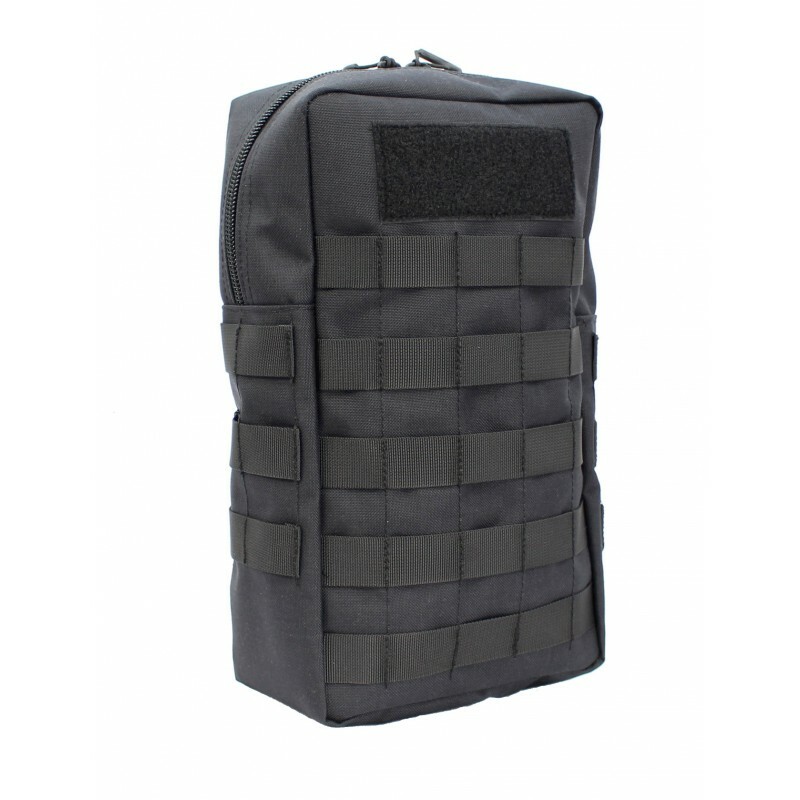 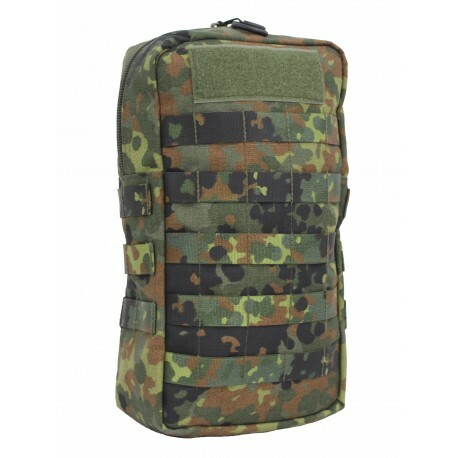 The combat bag, originally developed as an extension for our combat backpack M.A.R.S, is so individually applicable with its capacity of approx. 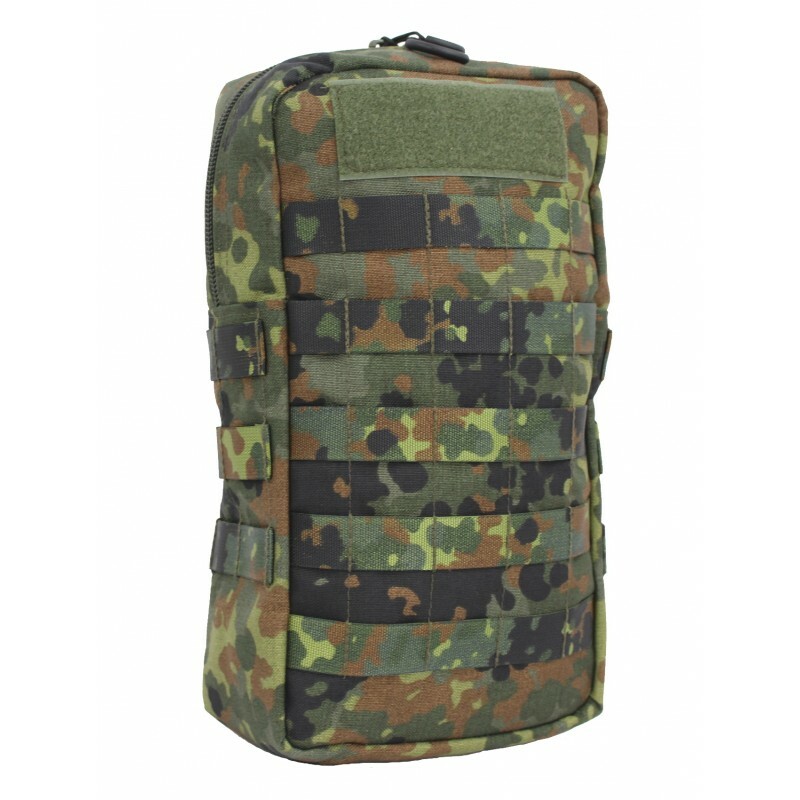 8 liters, that it is field-proved als a small auxiliary backpack attached to plate carriers or Molle assault vests. 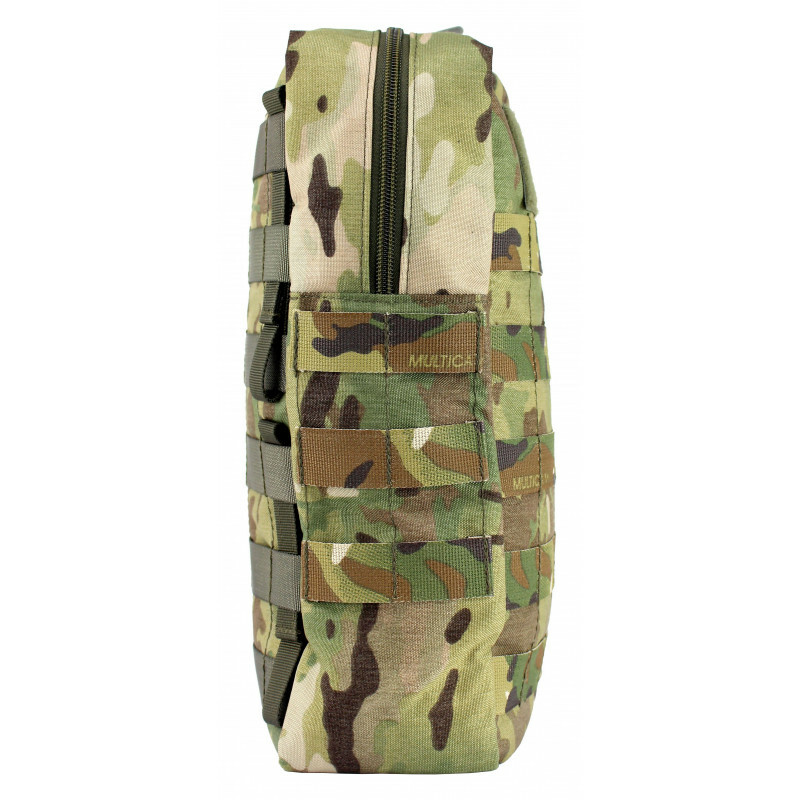 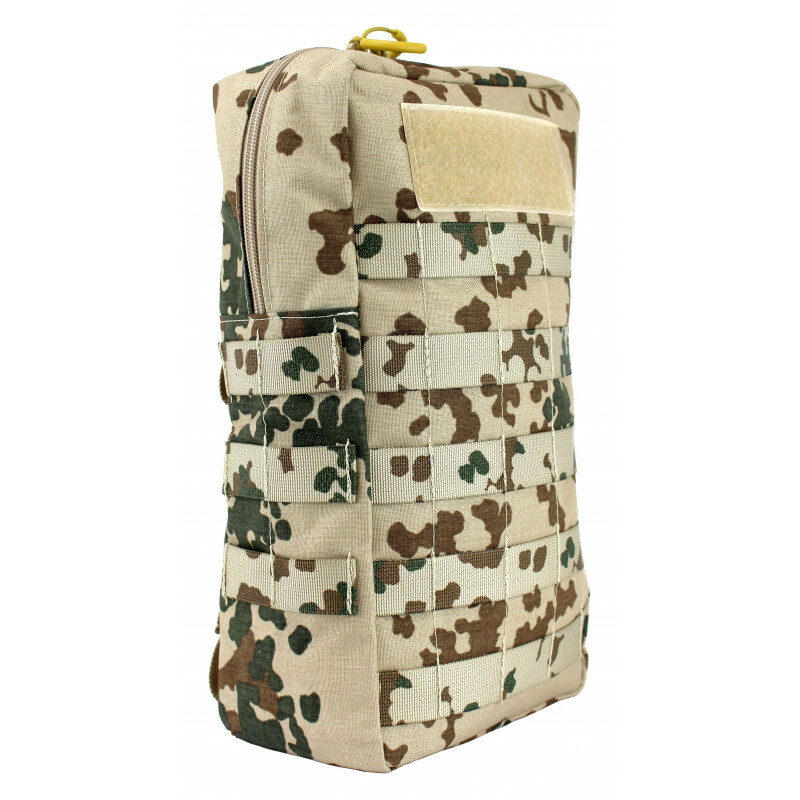 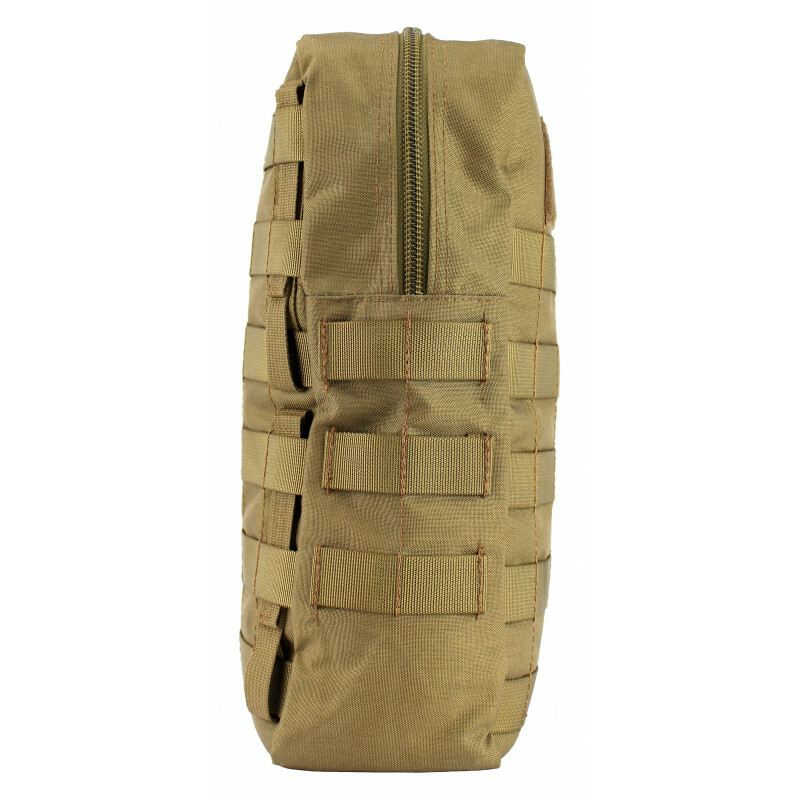 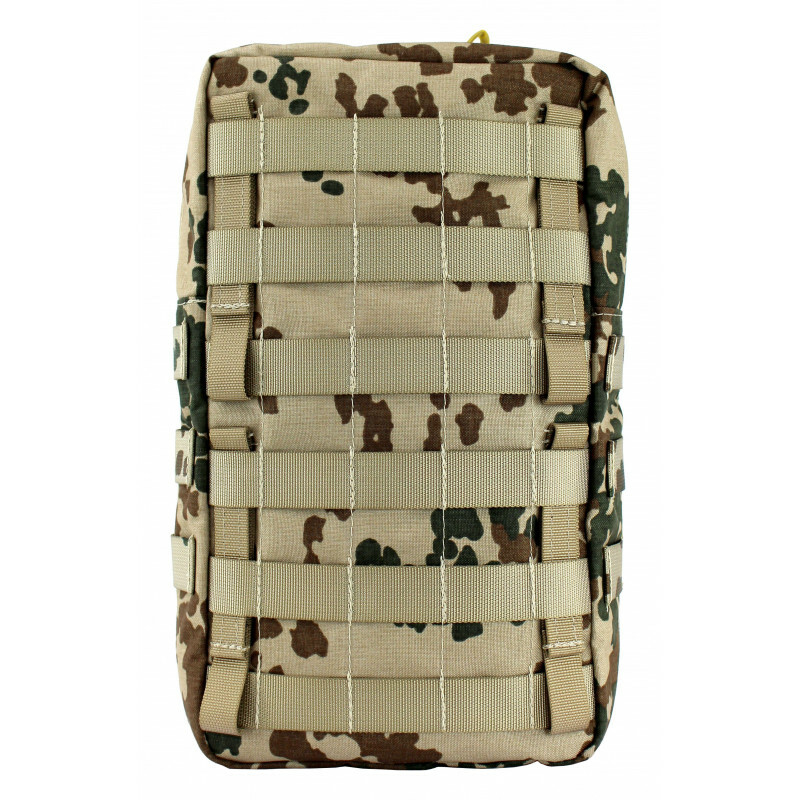 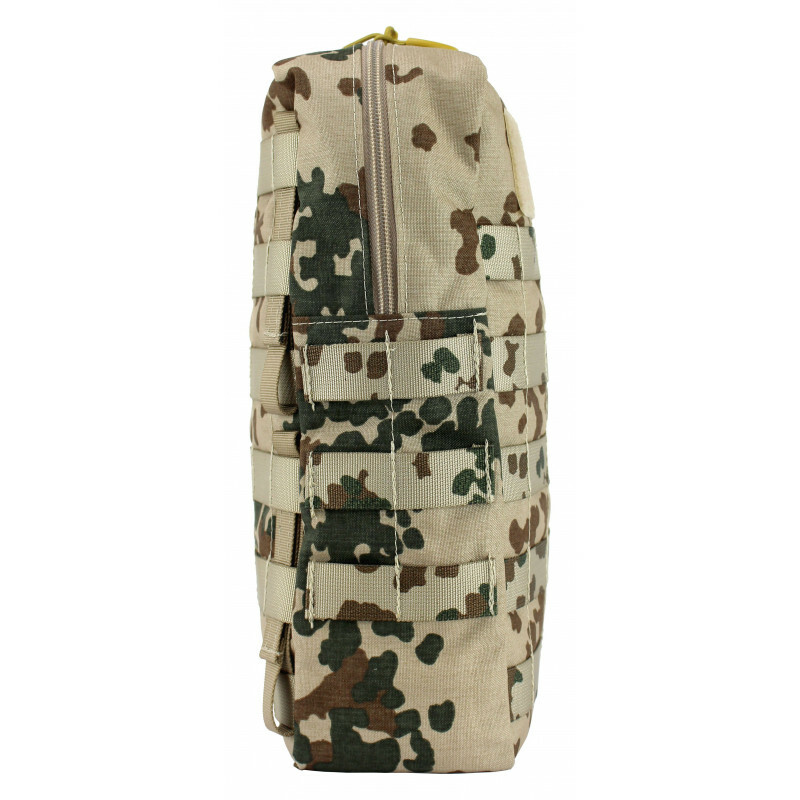 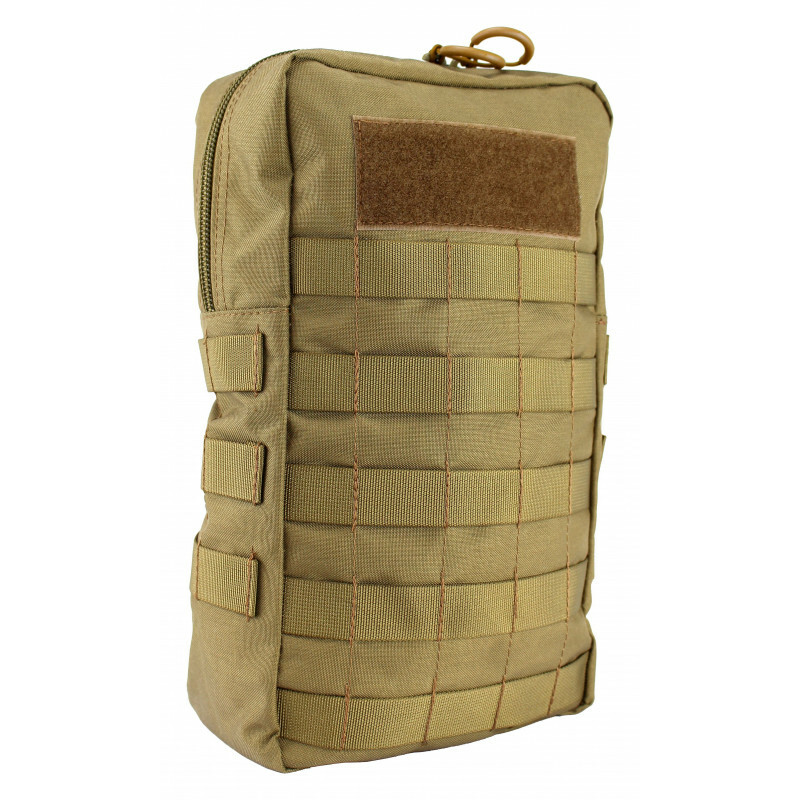 On the front and on the sides you can find for attachment of additional pouches Molle loops. 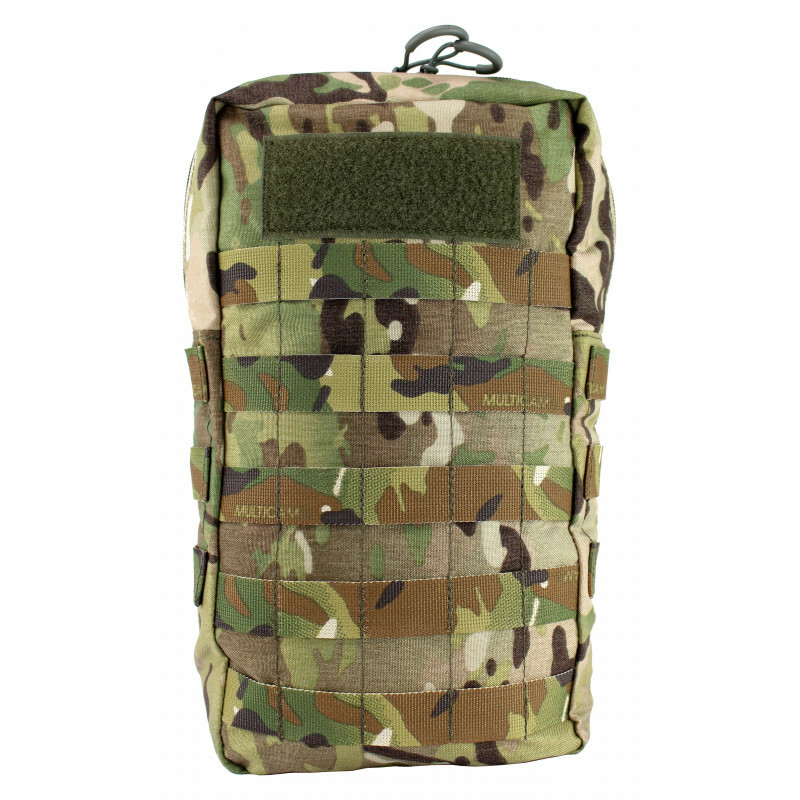 There is also a velcro surface for ID patches. 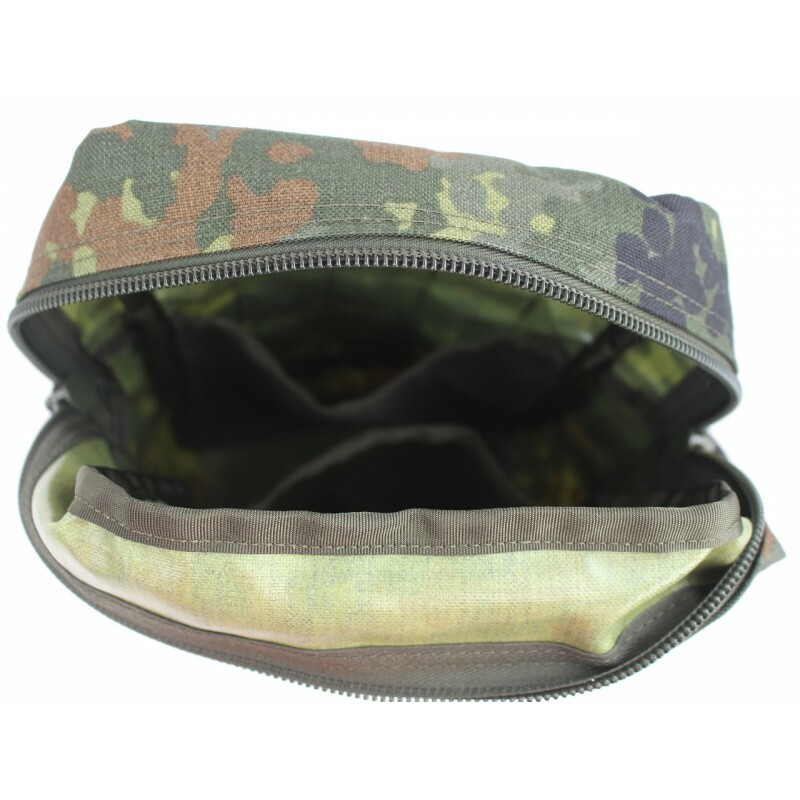 Inside there are two inserts, where you can place little items. 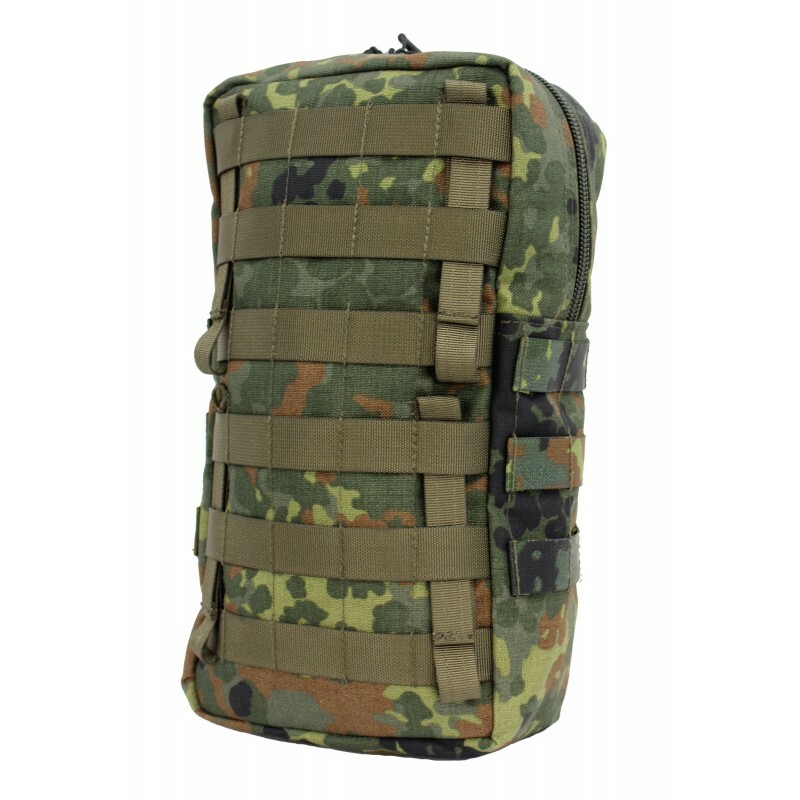 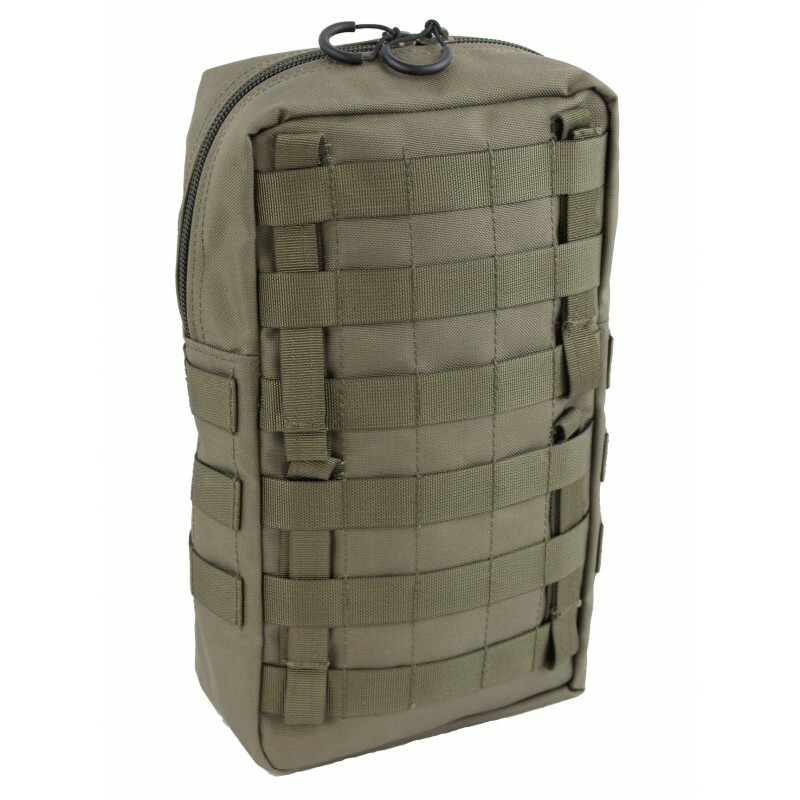 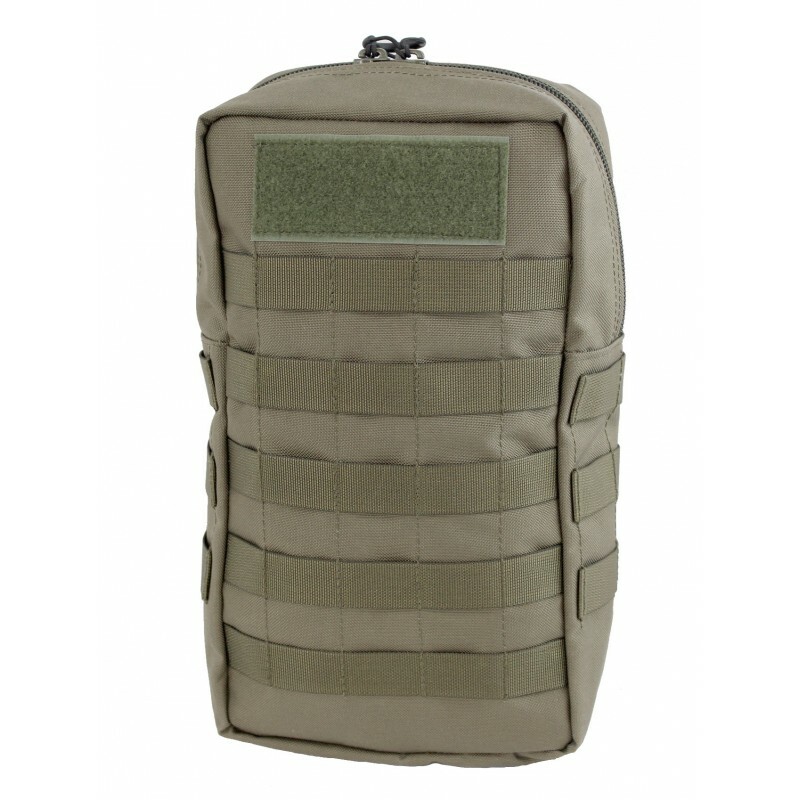 In its function as an additional bag of the M.A.R.S., this can be expanded to a volume of 54 L with up to 3 combat bags. 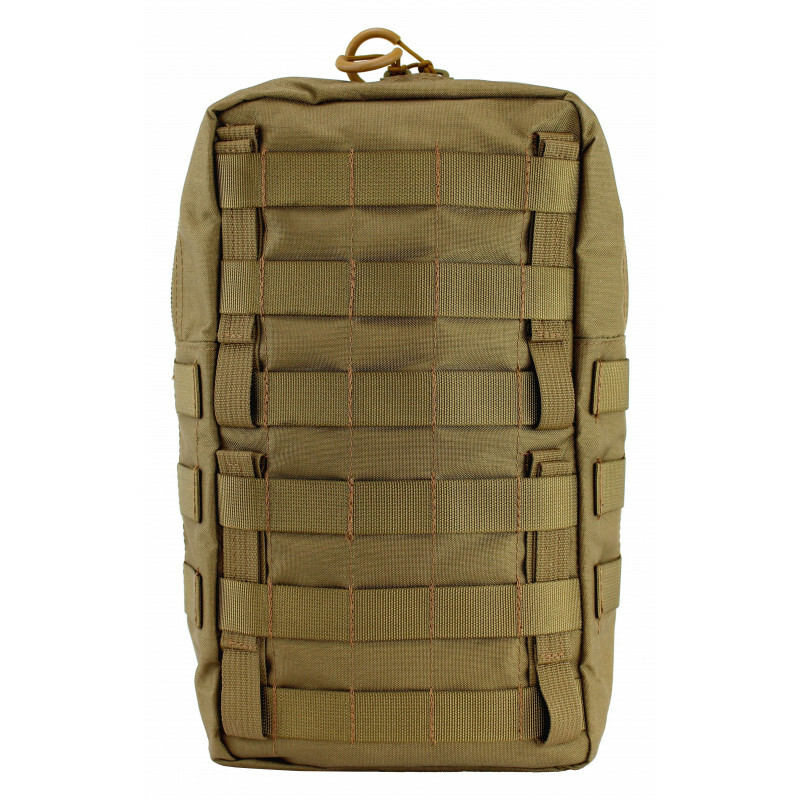 All used materials and the production correspond military specifications. 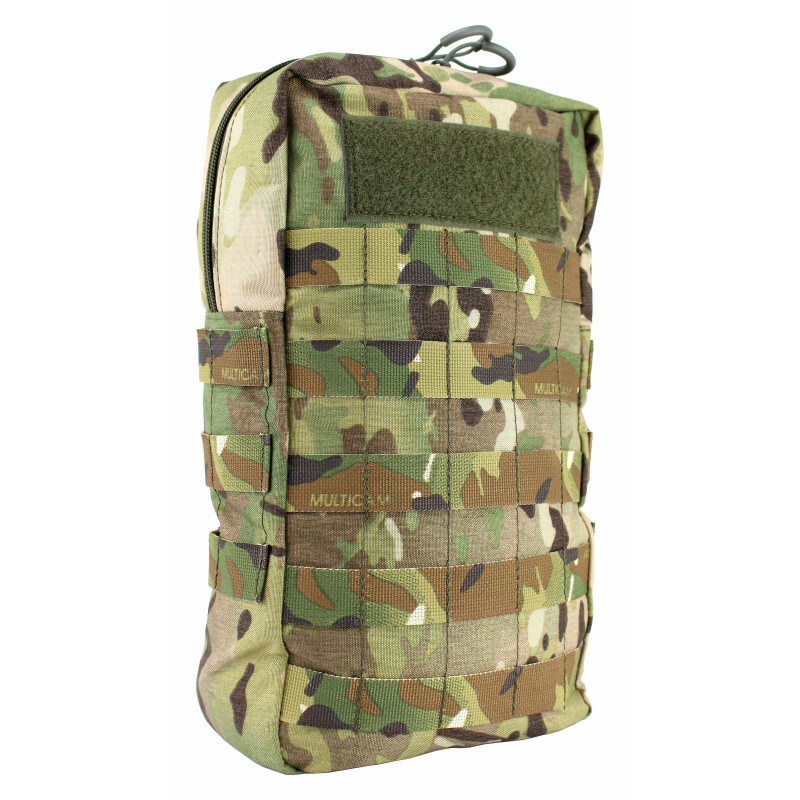 This gives you a robust product, which meets all military requirements.